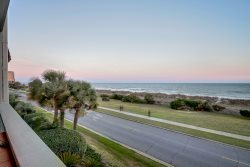 3 Bedroom, 2 Bath Oceanfront Penthouse with 3 Balconies! Custom Designed, Oceanfront 3BR/2BA Luxury Penthouse At The Savoy! There is a .0289% Processing fee added to each reservation.